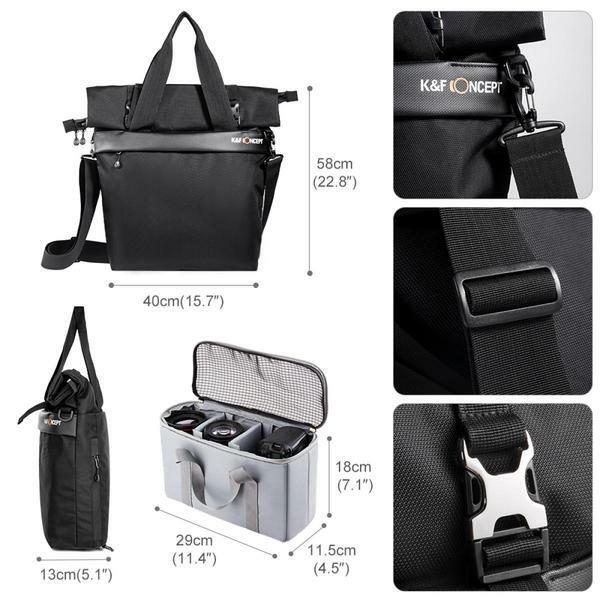 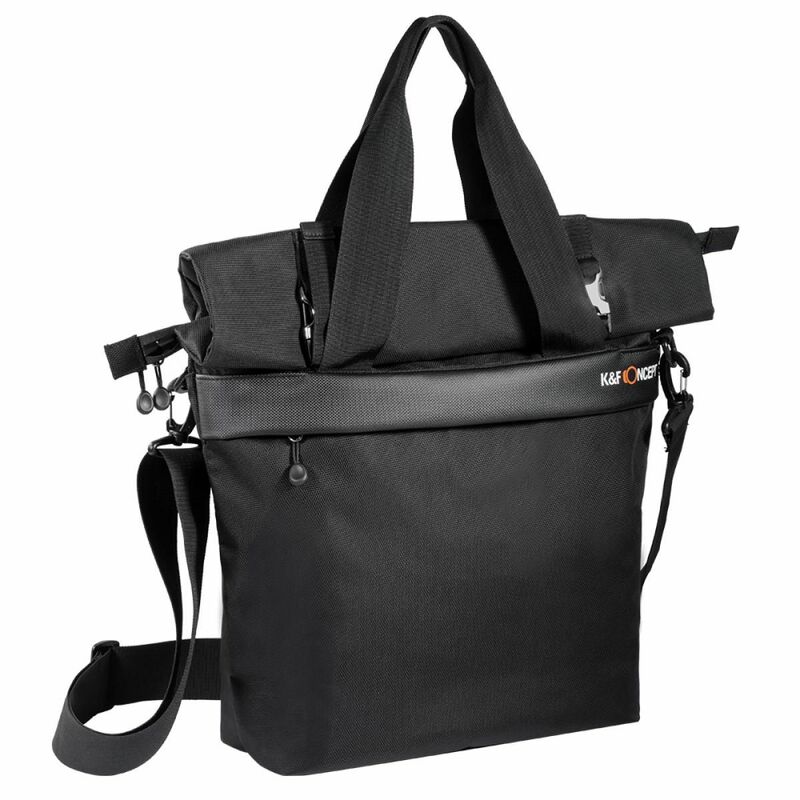 • 3 in 1: backpack, shoulder bag & tote; Small items can be placed in the side pockets and front pockets; The bottom zipper of the back panel can be pulled open on the trolley case. 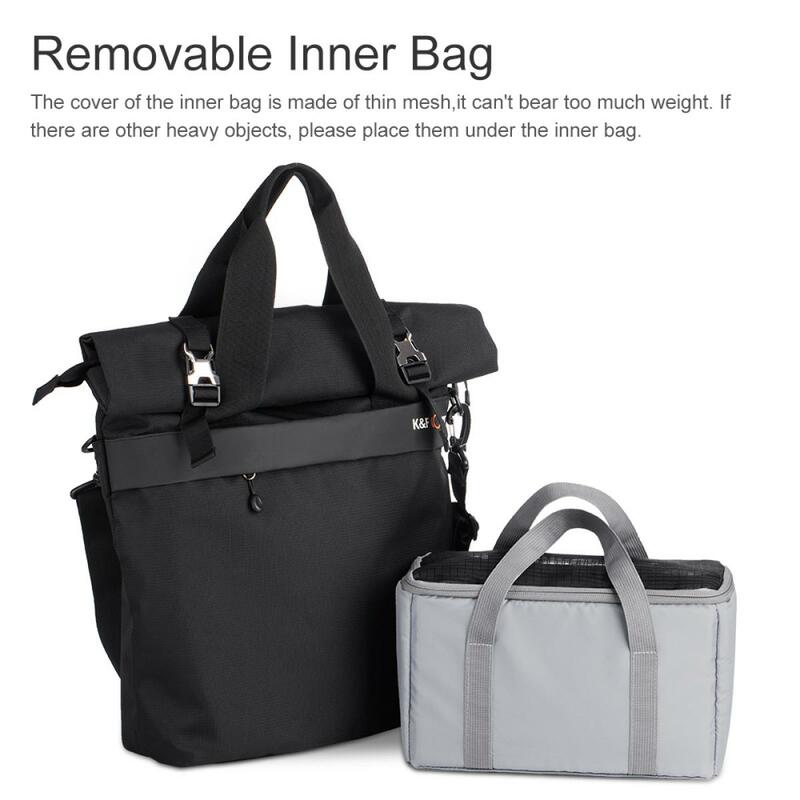 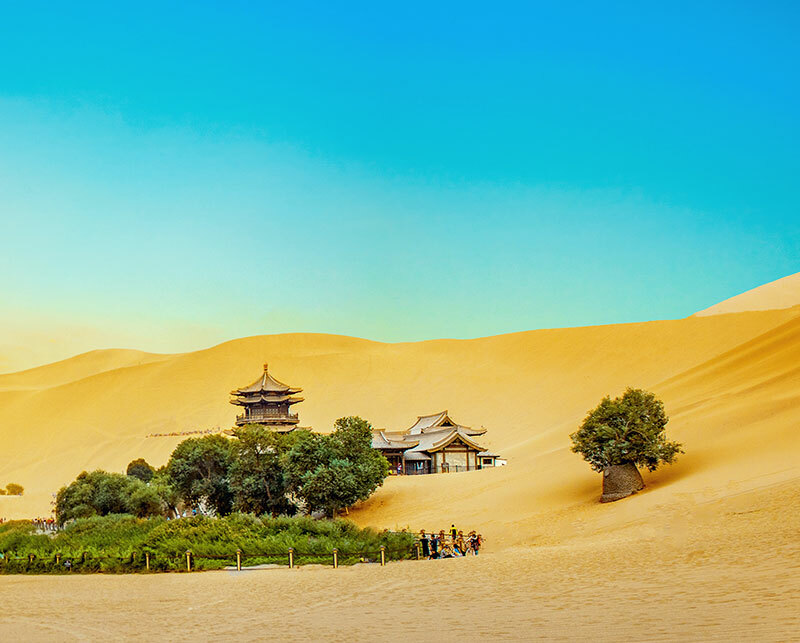 • The Removable inner bag absorbing shock and vibration to protect your camera against damages, dust and scratches, Detachable divider enable you to adjust the space of this case to match your camera well. 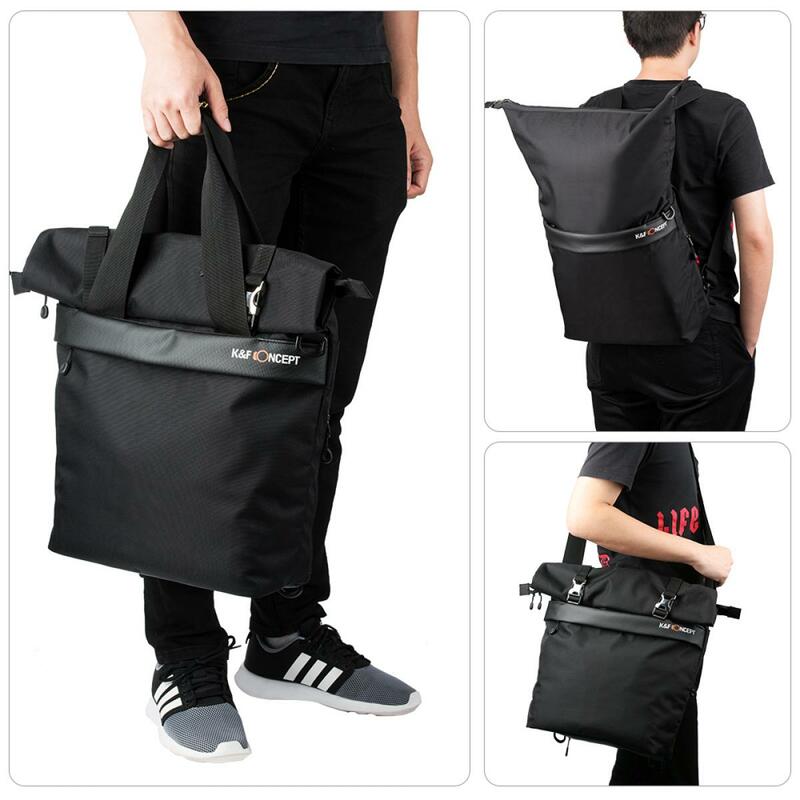 • Exterior L*W*H: 40*13*58 cm(15.7"*5.1"*22.8"); Interior L*W*H: 29*11.5*18 cm (11.4''*4.5''*7.1''). 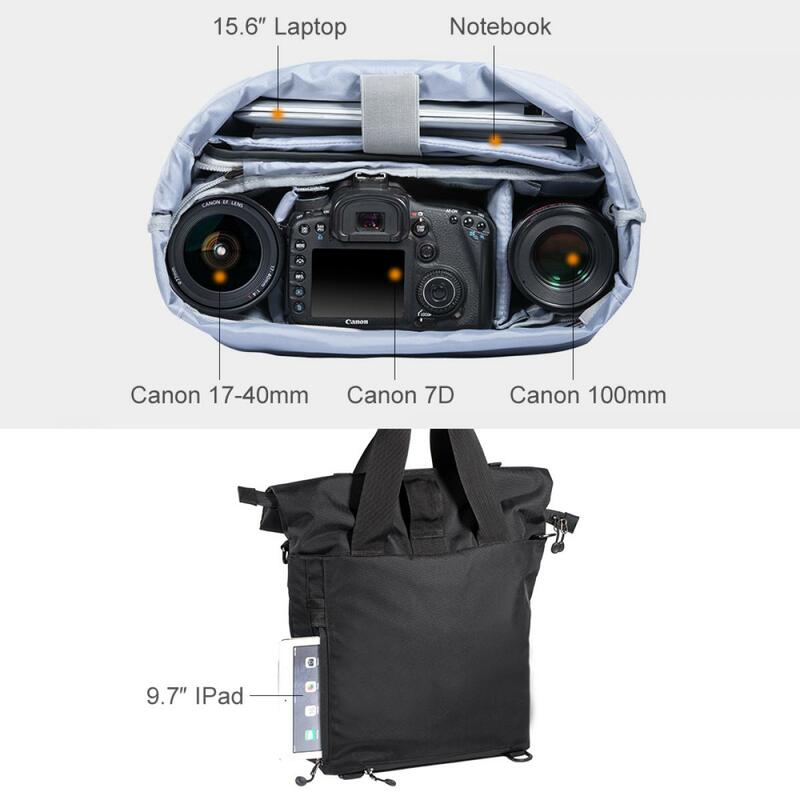 Can hold 1 Camera + 2 Lenses + Accessories; Internal pockets designed for 15.6"" laptop and 9.7'' iPad. 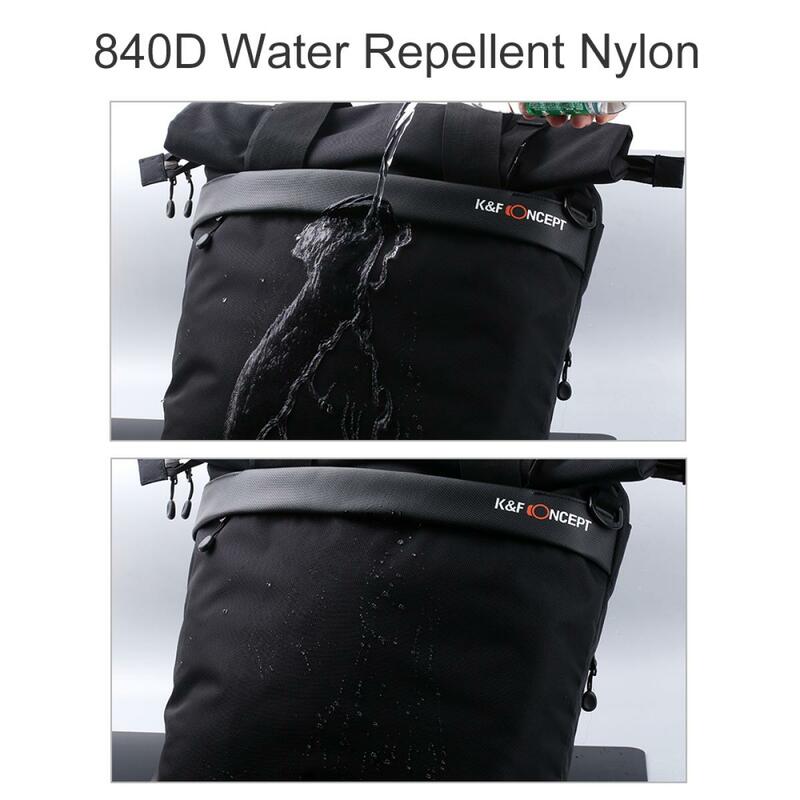 • The bag was made of 840D quality waterproof nylon material,scratch resistant, tear resistant; Sturdy and durable enough for your outdoor hiking or other activities.